These are just a few things. The point is, with chakra energy healing you are able to take the steps necessary to remove any heavy energy before it becomes a physical symptom of illness or an unwanted manifested reality. How? It will all be uncovered as you learn more about Chakra Energy Healing. When you think positively about a certain area of your life, you are giving "good" energy toward its corresponding chakra. This helps the chakra to spin efficiently and distribute energy accordingly to its physical body part and also to its matching external reality. For example, healthy thoughts around money distributes energy to the root chakra which in turn, provides efficient energy flow to the lower back, hips, legs and down to the toes. And those same healthy vibrational thoughts bring more money flow into your external experience that we call "reality". It's all connected. 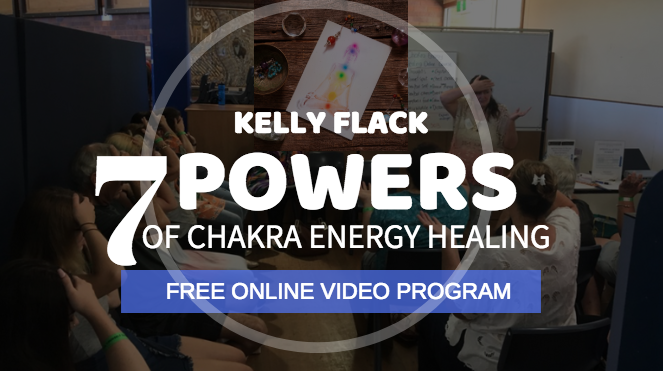 Here is The Complete Chakra Menu that will give you more ideas of how your thoughts could be affecting your physical body and your external realities. Fascinating stuff for sure! When you understand how you and only you are in fact, completely responsible for the outcomes of everything in your life, it actually brings on a whole new way of living. Realise how you are affecting your chakra energy and how you can change it all. Bring your entire body back into complete energetic balance by clearing and recharging your energy centres. During this comprehensive online course, you will come to know your chakras intimately and be able to change their energy with the flick of a thought. After all, energy flows where attention goes so it pays to think about, what you're thinking about.